Fondly, nicknamed as ‘Pondy,’ this Union Territory of India is a world-famous tourist destination. It has a remarkable historical past and reflects the amalgamation of several cultures, prominently. The French colonies, the British Raj-era buildings, and various cuisines bear testimony to these facts. 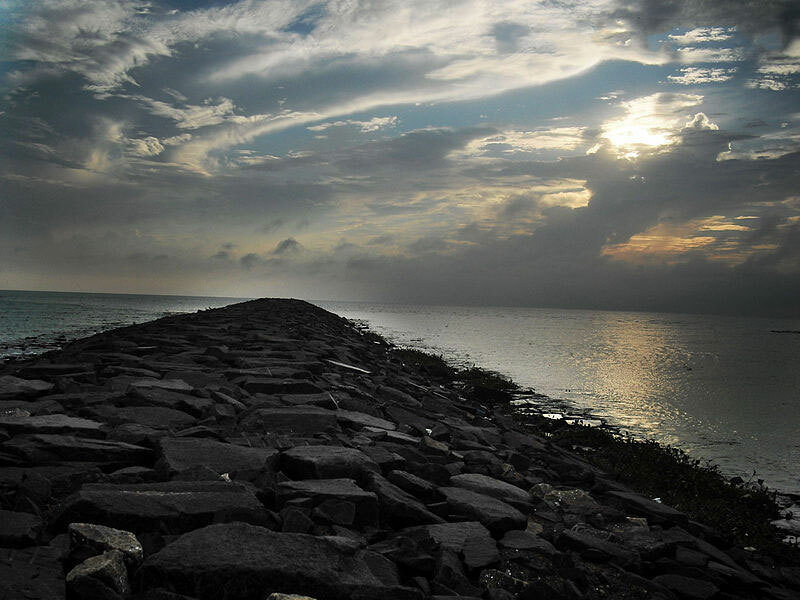 Moreover, Pondicherry is blessed with numerous ‘virgin’ and gorgeous beaches and ‘pristine’ backwaters. The views of the rising and the sun, sparkling seawater, and noisy white waves will definitely leave you in a blissful state. 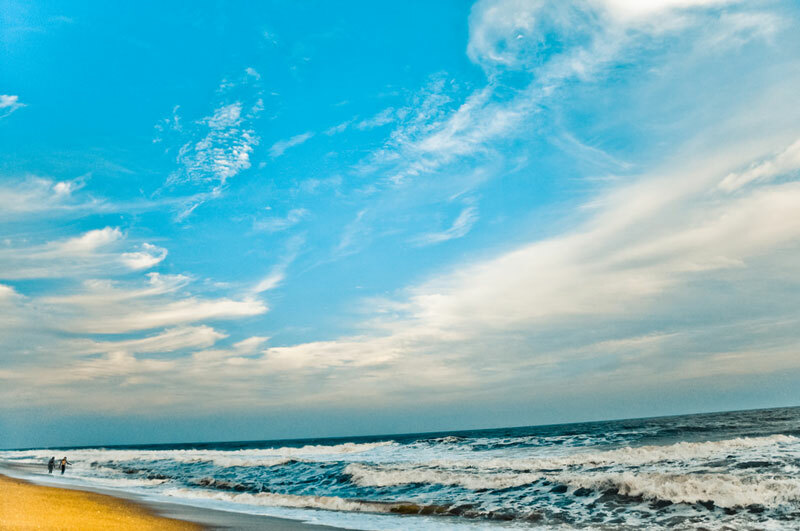 Hence, we have brought forth our own list of top visit-worthy beaches in Pondicherry for you to explore in the future. Apart from the golden tracts of sand, this beautiful beach is blanketed with green creepers at many places. Besides, the neighboring greenery does its bit to keep this place cooler. An evening walk on this soft sandy region will provide you with an exclusive sight of fishing boats and trawlers parked near the shoreline. You can play beach volleyball and built sand castles with your family and friends. The simmering azure water of the adjoining sea is ideal for swimming and boat rides. The high sea-waves also offer you the opportunity to go surfing in the daytime. In fact, the Serenity beach also has a surf school in its vicinity. Moreover, there is a café where you can buy refreshments. You can shop for local curios and souvenirs from the on-site flea market, every weekend. However, in contrast to its name, this popular beach remains pretty crowded with tourists! 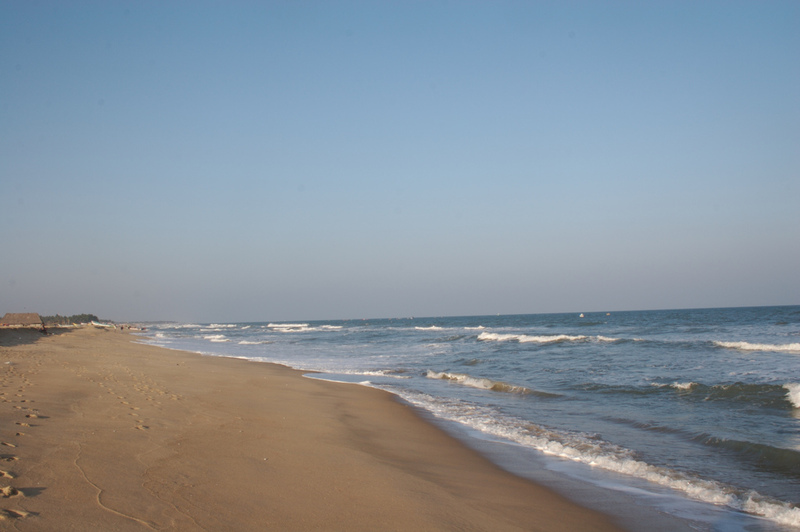 Located near the renowned Auroville Ashram, it is one of the finest sea beaches in India. Due to its shallow, crystal-clear water and very small sea waves, this place has become a much-thronged swimming hub of people, here. For surfers, the morning hours are the ideal time to indulge in surfing activities. The less adventurous among us can spend our time searching for vividly-hued seashells of different sizes or building creative sand arts on this golden beach. What’s more! 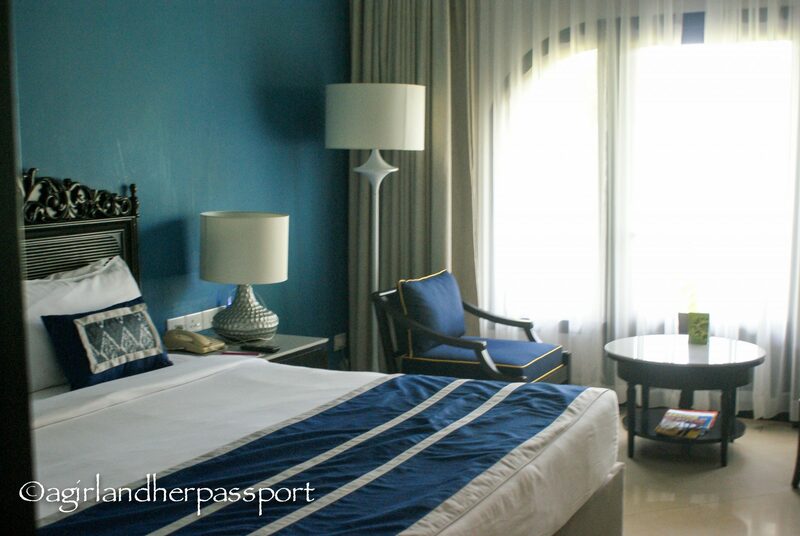 You can even book accommodation on any of the beachside hotels and inns, at a nominal cost. Unlike the other beaches of Pondicherry, you will need to rent a ferry to reach this amazing stretch of soft and finely-grained golden sand. Luckily, the 30 minutes long ferry trip gives you an eye-catching view of the surrounding mangroves and flying birds. This place also houses a few shacks and rental shops, doing a brisk business. 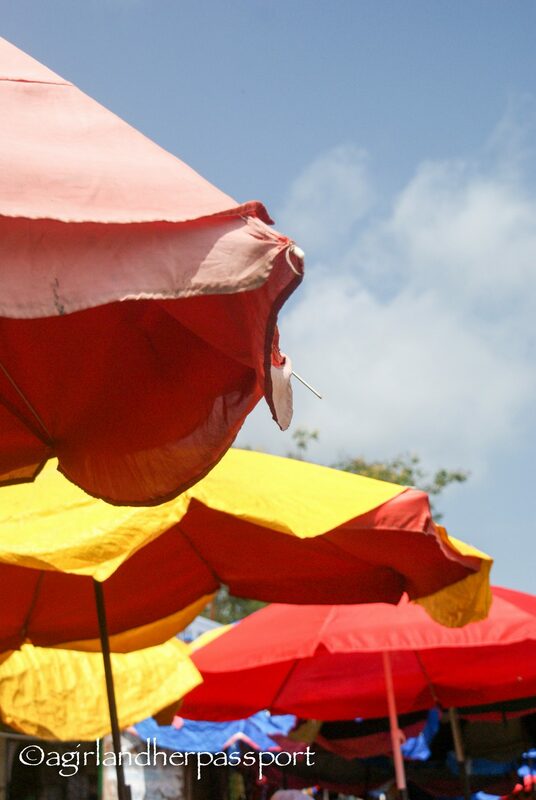 You can have plenty of coconut water and common snacks at these shacks. Moreover, you can hire fishing rods, fishnets, and water sports supplies from the onsite rental shops. Unarguably, this 1.5 km long Promenade beach is the most crowded beach of Pondicherry. Interestingly, the nearby road is cordoned off to prevent the passing by of vehicles, during early mornings and late evenings. In fact, these are the best hours to take a stroll, run, or do skating on the promenade without the fear of being hit by a vehicle. This place is also dotted with numerous commercial food stalls and health juice kiosks. If you are a hygiene-minded food lover, then you should head to the famous Le Cafe. Here, you can order coffee and an assortment of baked goodies. The statues of Joan of Arc, Dupleix, and Gandhi are some of the major monuments of this region. You should also check out the war memorial, the heritage city hall, and local lighthouse. For shopaholics, the nearby handicraft markets offer you a wide range of local stuff. 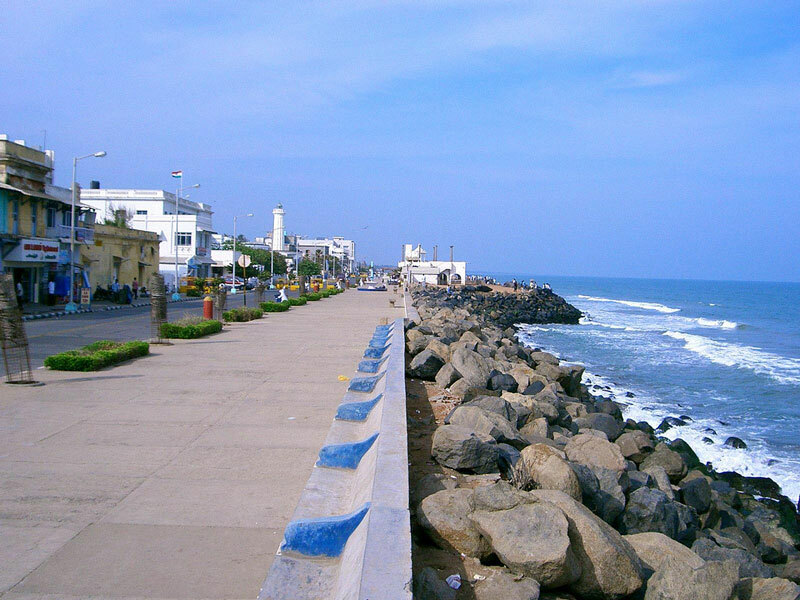 Another much-visited shore of Pondicherry, this southern beach also offers food kiosks, restaurants and adventure sports facilities. Additionally, there is a children’s park and a parking facility on its premises. You can have fun navigating the rented boats, kayaks and canoes, offshore. Play a game of volleyball on the sandy beach or a game of tennis at its Tennis court. Otherwise, go for a long walk or sit on the beach as much as you want. You can also travel to these lesser-known beaches- the Mahe Beach, the Quiet Beach, and the Reppo Beach if you want to explore Pondicherry’s other shore-side alternatives. Rohit is an Indian traveler and a scuba driver by profession. He has visited many Indian and International tourist destinations. You’ll find him writing travel blogs at TransIndiaTravels.com and educational articles on the marine life, in his leisure hours. 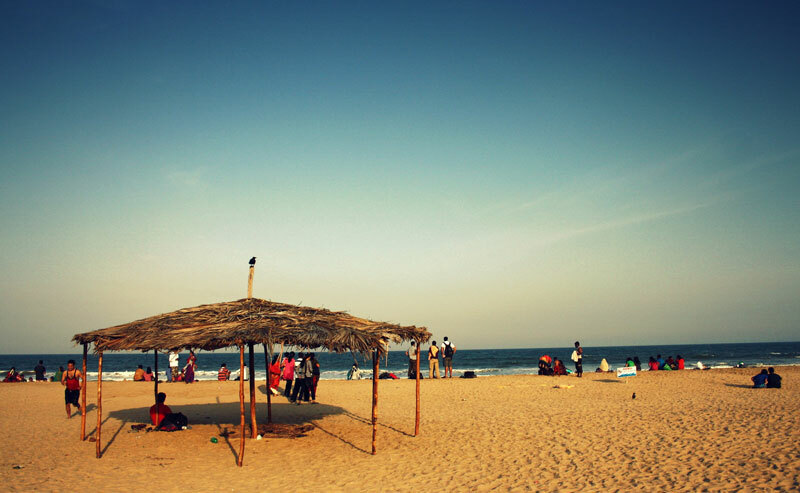 Thank you, Rohit for this great post about Pondicherry Beaches. I love to have content from areas I haven’t been able to explore yet! 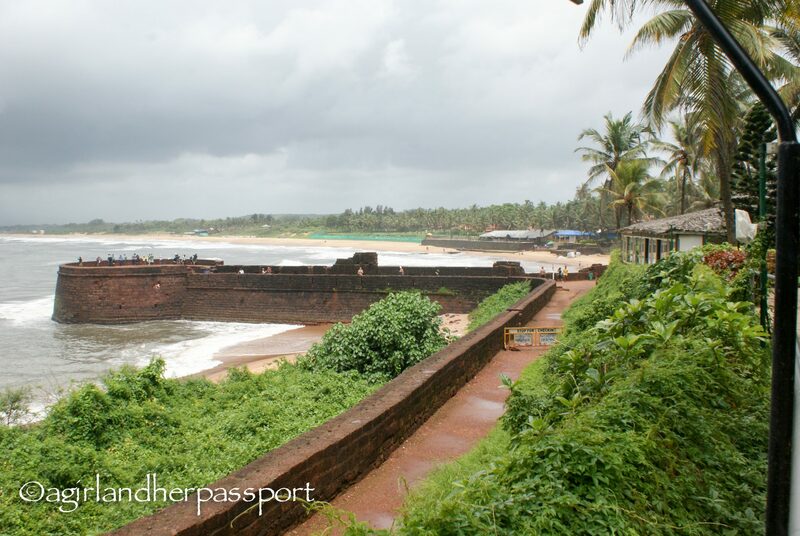 You may have noticed that the hotel I stayed at in Goa had the name Fort Aguada in it and wondered why. I certainly did. There was a small rampart that stuck out from the hotel grounds and if you looked at the aerial shots of the hotel, it looked as though the hotel sat inside the fort grounds. 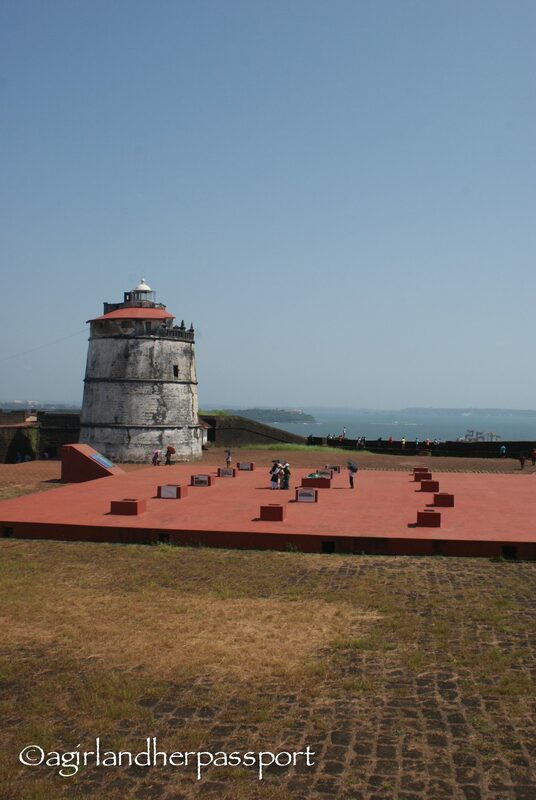 After I arrived, I realized that this was not the main Fort Aguada in Goa. The larger fort was about 3 kilometers up the road from the hotel. The rampart sitting outside the hotel was the “lower” fort. Fort Aguada Goa in Goa was built in 1613 by the Portuguese. 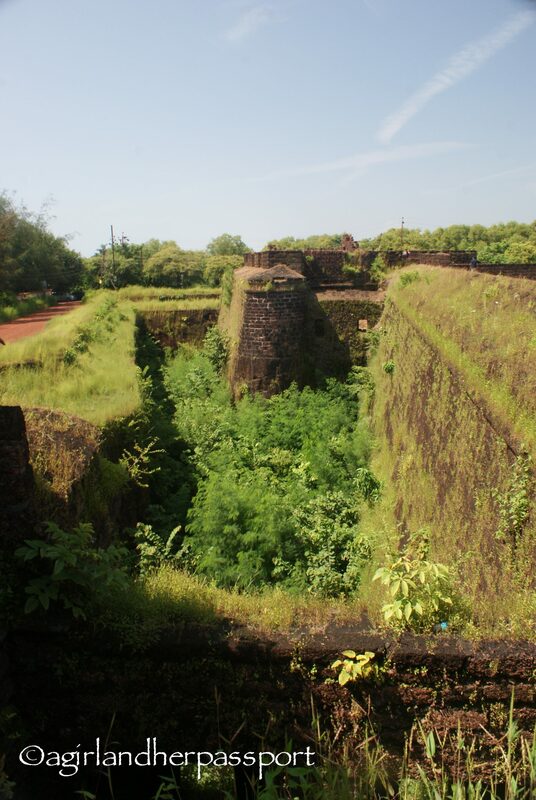 It has a natural spring inside the fort and this is how it got its name, as Aguada means water in Portuguese. Why should you visit you ask? It’s Free! – It costs nothing to enter the site. 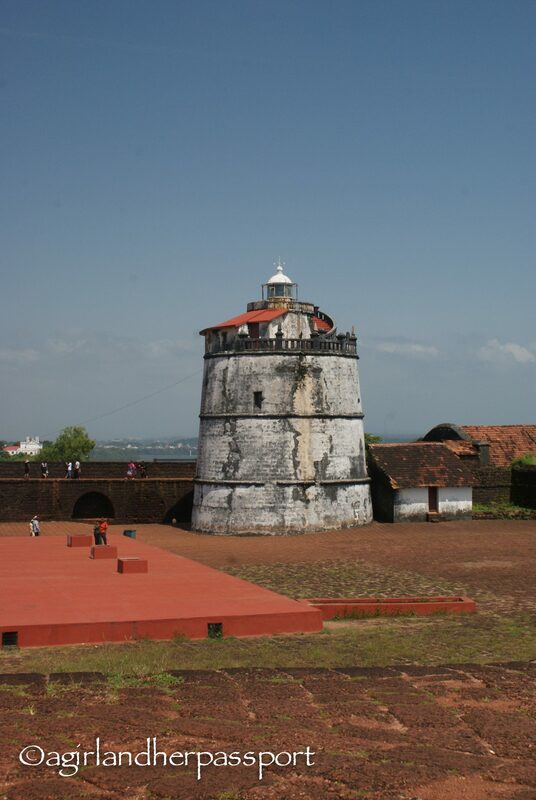 You will have to pay a taxi to get you there, but otherwise it costs nothing to see Fort Aguada in Goa. 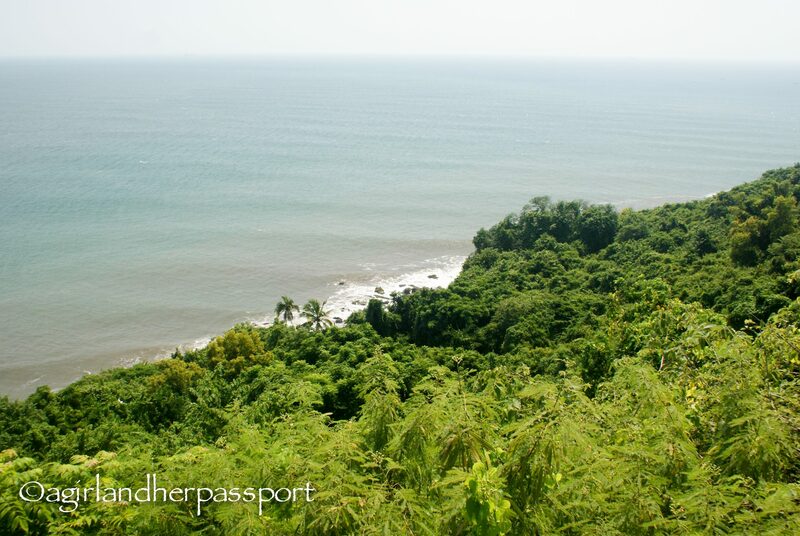 The View – The views of the Arabian Sea from the hilltop Fort Aguada is located are on are amazing and you can see why they choose this location. There is a Lighthouse – I love lighthouses, but it is something I think of as being a North American and European thing, not an Indian thing. It was built after the fort in 1864. So think about that for a minute, the U.S. was fighting a civil war and Charing Cross Station opened in London during 1864. A Prison – While doing some post-visit research, I found out there is now a prison on site fashioned out of the fort jail. Now I am kicking myself that I didn’t do more research on this before going because I totally missed it! Have you ever been to a cool fort? Tell us where in the comments! We arrived at the Mapusa Friday Market in Goa after a short drive from the resort. 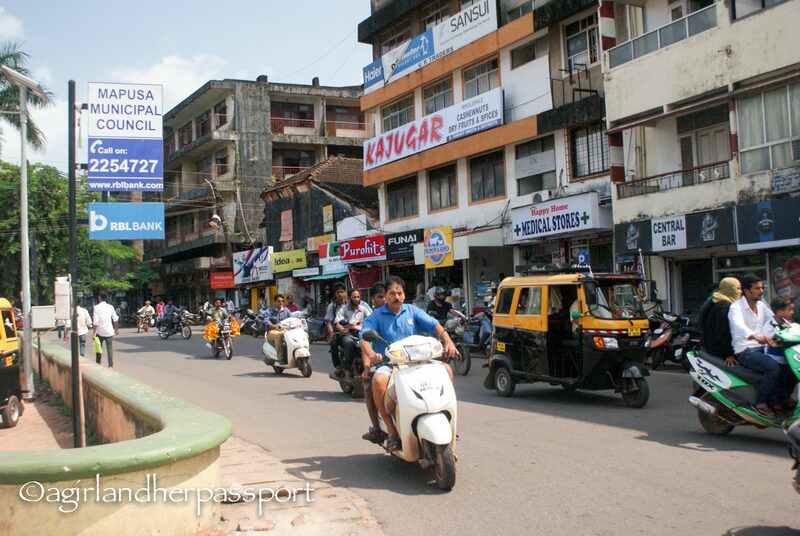 Mapusa seemed like a large city compared to the sleepy village we were staying in. In the parking lot, the driver maneuvered his small white car into a parking spot and gestured for us to get out. At first it seemed as though we were just going to be let out and left to find the market ourselves. Then the driver realized we had no idea where we were going. He started walking in the direction he had been pointing, but without waiting for us to follow. We crossed the road dodging motorbikes and cars. The market appeared before us. The driver then left us to fend for ourselves. The market was already crowded at the midmorning hour. Each stall seemed to be more colorful than the next. The first aisle we turned down was filled with textiles. Scarves, bedspreads to undergarments. Every color jumped out at me as if to say “pick me!” Women started to realize that three non-Indians were in the market, and the clamoring for our attention began. Not wanting to interrupt the experience of the market, we didn’t stop to buy. 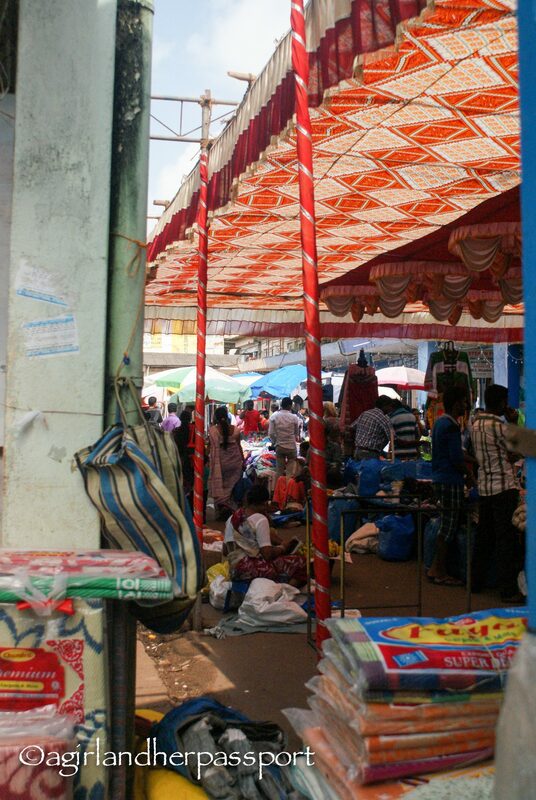 The market seemed to be set up on a grid, but only a grid that the locals would know, and we weaved in and out of the stalls in a disorderly fashion attracting attention everywhere we went. Colors continued to assault the senses as we found the flower section of the market. 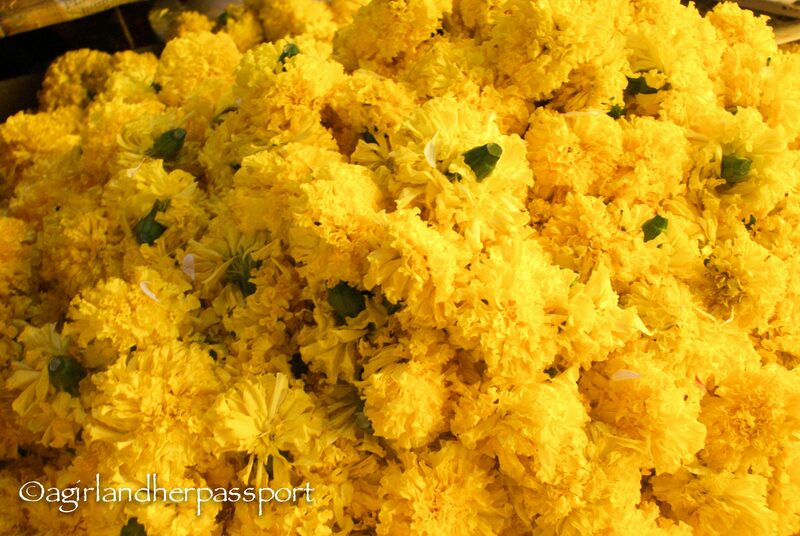 Hundreds of yellow flowers filled the stalls with specks of white and red. 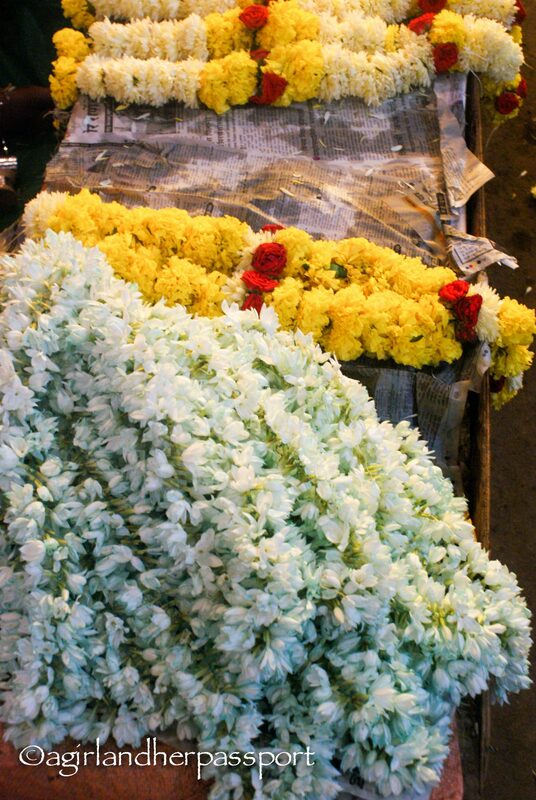 Women and men sat on the floor sewing the flowers together in long strings and elaborate decorations to be offered to the Hindu gods. Color was reflected from the plastic ceiling protecting some areas of the market, adding to the bevy of color. From flora to fauna as we came upon the fruit section. The fruit was large and some mysterious as I was unsure as to what some of it was. Vendors had cut open many pieces to show the quality of their wares release the sweet smell into the air to mingle with the color. 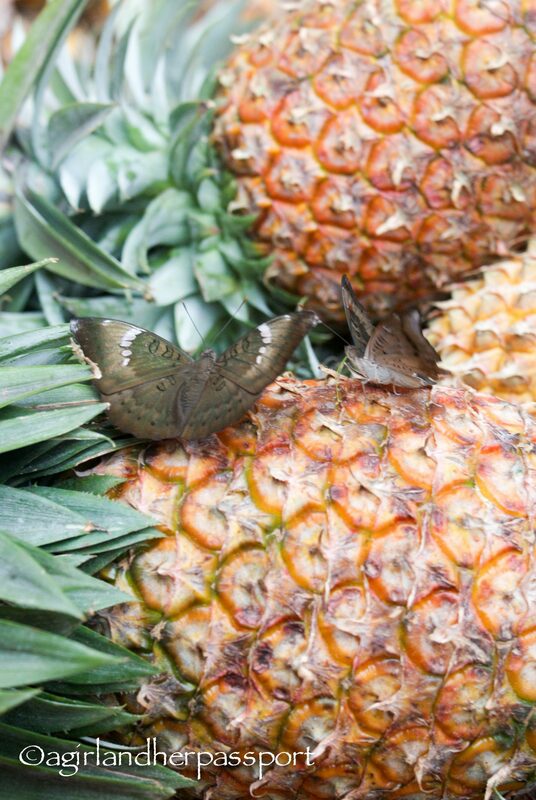 The insects also knew that Friday was the day to be in Mapusa as they flocked to the market to fill their stomachs with juice. Even though the crowds and the vendors were vying for our attention, the market brought a sense of calm to me. Seeing people about their daily lives in the Mapusa Friday Market made you realize that we all have our normal routines. These routines are very different from each other, but we all have them and depend on them. I could have walked around the market for hours watching people conduct their business and catch up with friends. 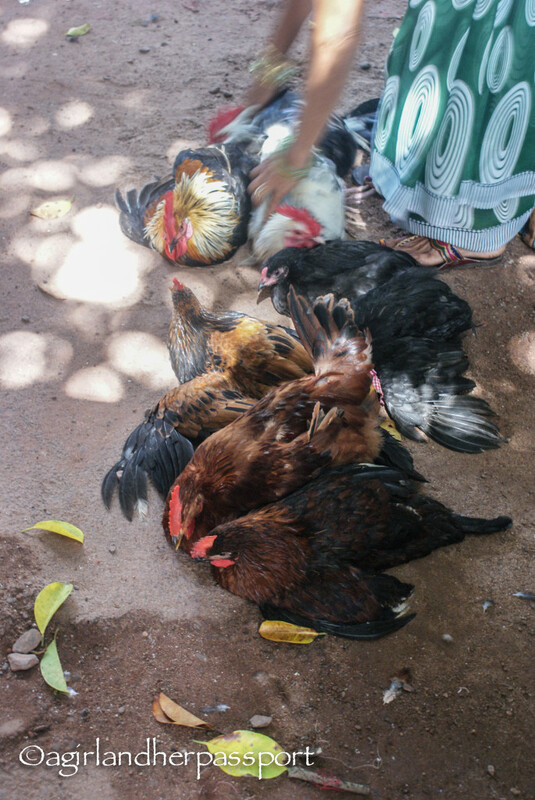 The only things that did not seem excited about the Mapusa Friday Market in Goa were the chickens being bought for dinner! Although they were extremely quiet for an animal about to face the dinner table. I left with a sense of missing something. I hadn’t stayed long enough and certainly didn’t see enough. However, the Mapusa Friday Market in Goa goes on every Friday and will happen this Friday whether I am there or not. That gives me a sense of calm as I know the world still goes on even if I am not there to experience it. But now I know it exists and I am grateful. Logistics: The Mapusa Friday Market happens every Friday. Getting there early is a good idea to beat the heat and the crowds. The Mapusa Friday Market is in north Goa. There is probably a bus that can take you from your town, but it most likely will not have air conditioning or seat belts. My advice would be to take a taxi from your hotel, as they are not expensive in India. Be prepared to bargain as the few vendors I dealt with seemed to think I was made of money and were overcharging. Some women followed us around most of the time trying to get us to come to their shops. Be wary as one of them seemed scammy as well. But overall, go with an open mind and open eyes and you will love it. Not sure if I told you all, but the purpose of the trip to India was to relax. That is why I picked Goa. I wanted a nice place by the beach so that I could relax. 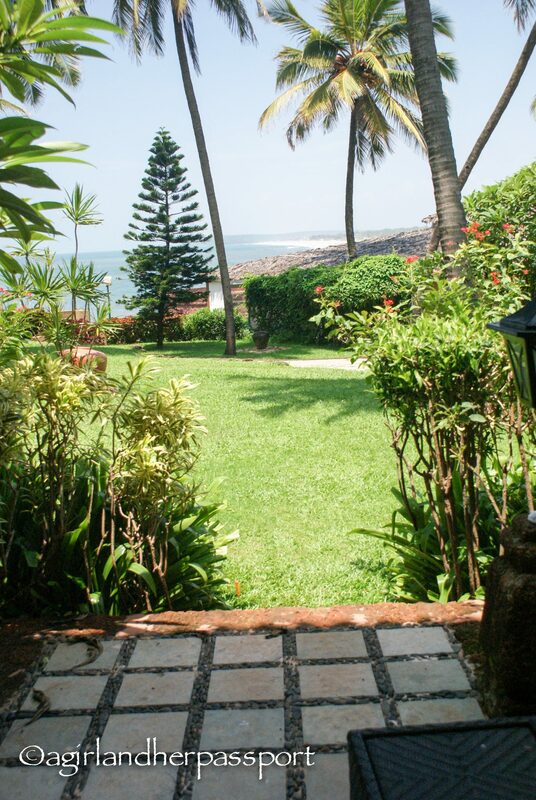 It also meant I needed to find a place in Goa that had a nice beach, a pool and everything available at the hotel. I didn’t want to be taking taxis everywhere to eat or go to the beach. It also meant I wanted a more of a luxury experience. There were lots of options, but a friend of mine at stayed at a Taj Resort on her trip to Kerala, India and said is was very nice, and the service was excellent. The Taj hotels actually have three hotels in Goa! 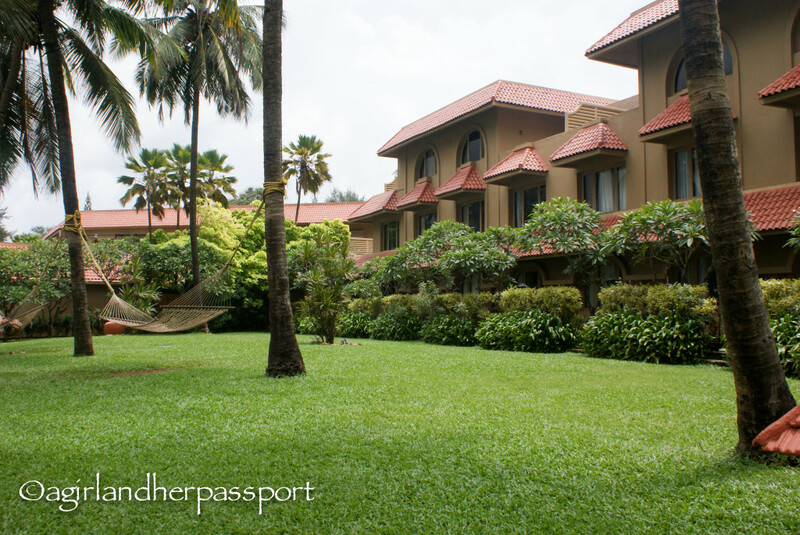 After doing some research, I decided to book the Vivanta by Taj Fort Aguada. I choose it because it was on the beach, and the pool looked amazing. The reviews on Trip Advisor were also pretty good. Unfortunately, the room I wanted to book was no longer available online, and I had to call the hotel directly. I ended up paying more but got a better room for not much more. This is where the trouble started. If you read my post about my India Trip Jitters, then you recall I was nervous. After calling and making the reservation, I never got a confirmation email. After several emails back and forth, I ended up calling for the confirmation number. In the end, it all worked out and I there was a car waiting for me when I arrived. This was my room! I arrived early in the morning when it was still dark outside, so I wasn’t that impressed at first, but I appreciated it more in the light. The first picture is the view from my room and the small patio I had. I couldn’t have asked for a better view. In the end, I was glad I had paid more for this room because I could walk out from the patio to the pool and the restaurants. If I had been in the room I originally planned for; I would have had to walk out the back and had to go down the stairs to get to the pool. You get what you pay for! The best part was, I could hear the waves crashing on the beach, which is the best sound in the world. The bed was very comfortable and while I was checking for bed bugs, as I always do, I noticed the mattress was new. My friend complained that her bed was uncomfortable, so it may be a matter of taste or my mattress really was new. The room was small, but fine for it just being me. The property is an older property. I believe it was built in the late 1970s, so that explains the small room and bathroom size. It was clear the rooms decor had been updated, though. The rest of the property was also great. The pool was an infinity pool with plenty of lounge chairs. It was a bit small, so one of my friends would go to the Vivanta by Taj Holiday Village pool that was just down the road. It had a much larger pool that you could swim laps in. Unfortunately, the waves at the beach were too rough for swimming as it was still monsoon season. I had to be content with walking on the beach instead of swimming it. The beach was very clean and not crowded, although during the high season, I know that this beach will be packed with people and huts. This was another reason to come during monsoon season. Both Vivanta by Taj hotels had excellent restaurants. 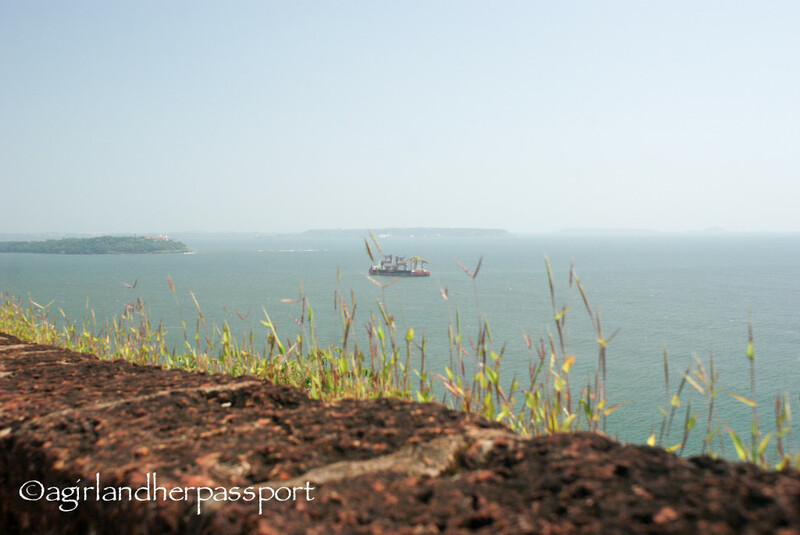 My favorites were the Italian and the seafood places at Fort Aguada. You may be thinking, you went to India to eat Italian food!? I eat Indian food on a weekly basis in Qatar due to the high Indian population in Qatar, so it wasn’t a big drawn for me. The wine selection was also amazing. I even tried some of the Indian wine and was not disappointed. 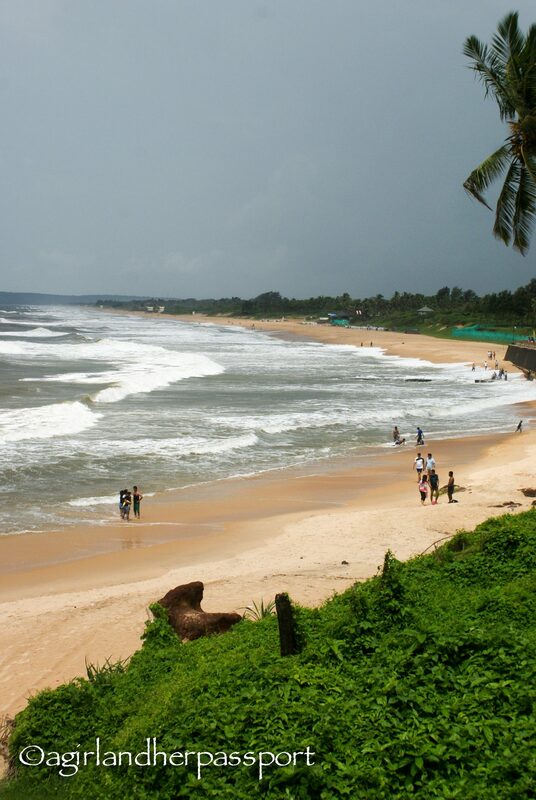 Holiday Village has a Goan restaurant that was good and offered all the traditional Goan cuisine. It was easy to get to Holiday Village as they had free car service to the other resort. I had a massage at the spa. The massage itself was great and I felt very relaxed afterward. However, the environment for the spa was not ideal. There was no place to relax before or after your appointment. I could also hear people talking and doing things outside the treatment room door. The spa is also not at either resort, but in a small villa between the two. I took a car there but walked back. 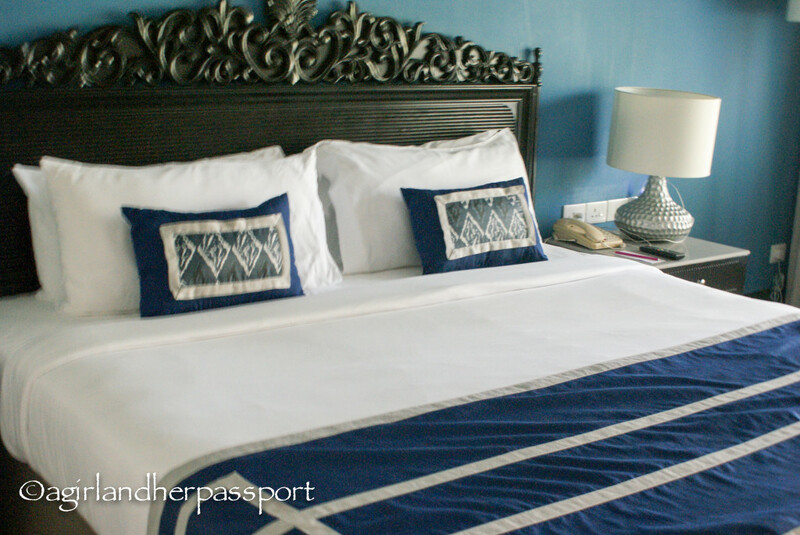 Overall, my stay was a pleasant one and I would recommend the resort. During the off-season, it seemed like a lot of Indian families were staying there, which made me feel good about my choice as female traveler. I also enjoyed seeing the families interact with each other, which brought an unexpected cultural experience. Next time I go back, I want to stay at the Holiday Village as they seem to have villas and not hotel rooms. These also might be suited to families better as they looked bigger. 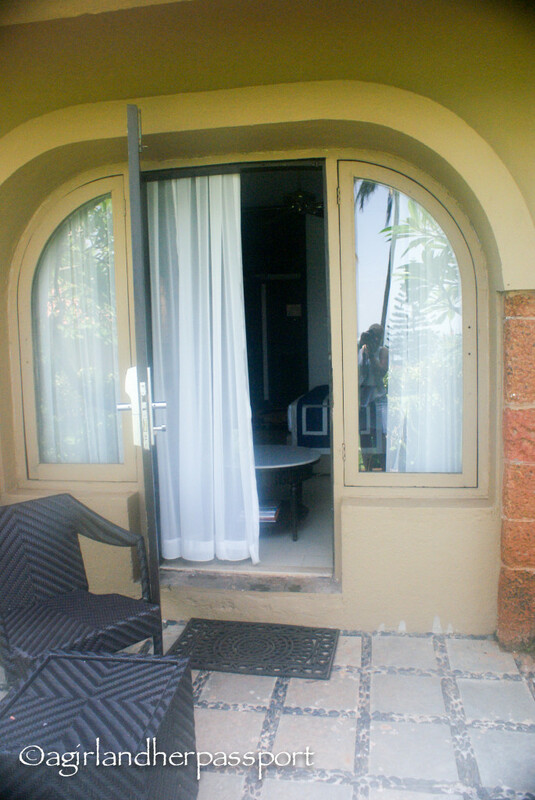 Have you stayed at a great place in Goa? Where was it?